Polyether Ether Ketone (PEEK) PEEK polymers are obtained by step-growth polymerization. PEEK is a semicrystalline thermoplastic with excellent mechanical and chemical resistance properties that are retained to high temperatures. PEEK is regarded as one of the highest performing engineering thermoplastics in the world. PEEK is used to fabricate items used in demanding applications in aerospace, automotive, oil and gas and medical industries. 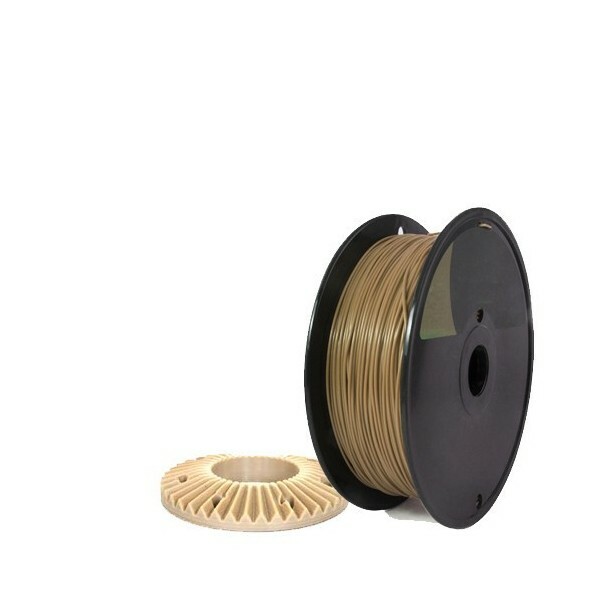 The INTAMSYS PEEK Filament has unique properties because it does not come into contact with water during the production process and is directly packaged in a vacuum packaging. These properties make the INTAMSYS PEEK Filament particularly suitable for usage in FDM and FFF 3D printers. The material has an excellent adhesion between layers which results in great improvement of the impact resistance, strength, durability and the printing process. The PEEK Filament produced by INTAMSYS meets the European regulations EC No. 1935/2004, EC No. 2023/2006 and EC No. 10/2011 concerning plastic materials and articles coming into contact with food and is also compliant with the FDA (Food and Drug Administration) for food contact. The colorants used by INTAMSYS to color the Filament also meet these European regulations.